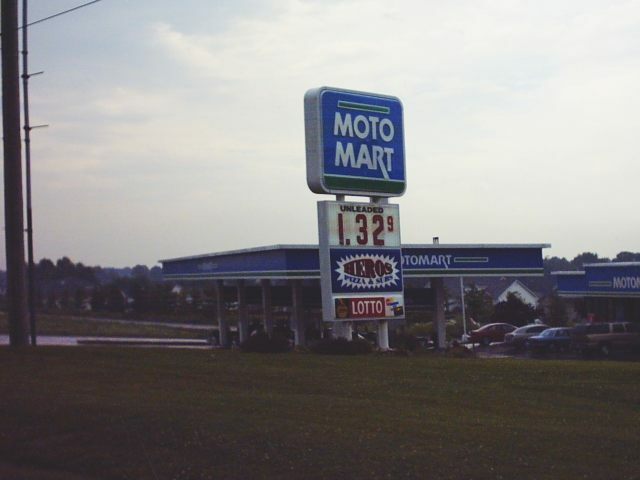 Someone asked if MOTO and MOTO MART were one in the same. Yes they are. They are FKG Oil Co. out of Belleville, Ill. (St. Louis area) and have about 50 stations scattered in about a half-dozen states from Ohio to Minnesota. They are an older company that goes back at least to the 50s. I saw a couple of their stations in 1958-58 east of St. Louis in Illinois, but lost track of them until the early 80s when they began to expand out of their home area buying a number of former IMPERIAL sites when Imperial Refineries sold out to Cheker Oil. Most of their sites are pretty high volume. Collectibles are almost non-existent. I have a stamp book from the 50s and that is it with the exception of some freebee handouts, coffee cups and such. No globes or porcelain signs are known. 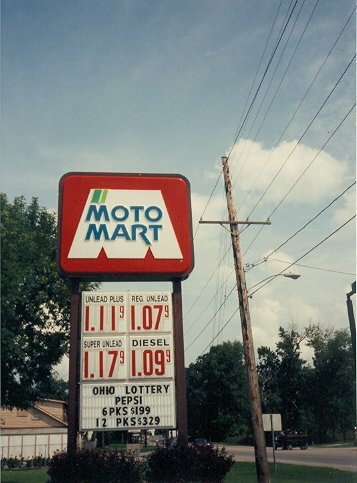 A Moto Mart sign variant at Gillespie, IL. 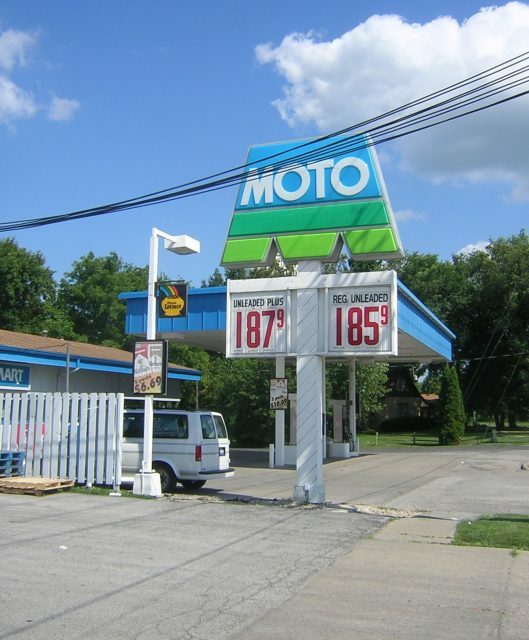 Note: Moto and Moto Mart are both the same company. 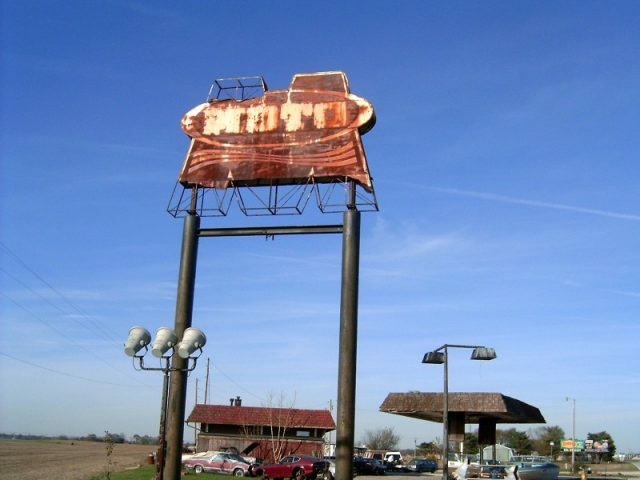 A really old Moto Mart sign along US 41 north of Evansville, Indiana. Taken Nov, 2004 by Robert Droz. Located at Marion, Ohio on Ohio 4 south. Taken by Walt Wimer, August 14, 1992. 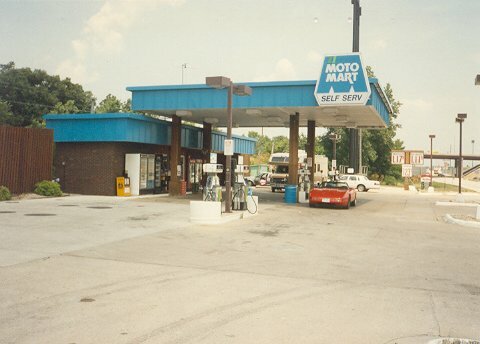 Moto Mart at Godfrey, Illinois on US 67 south. Taken July 19, 1994 by Walt Wimer. 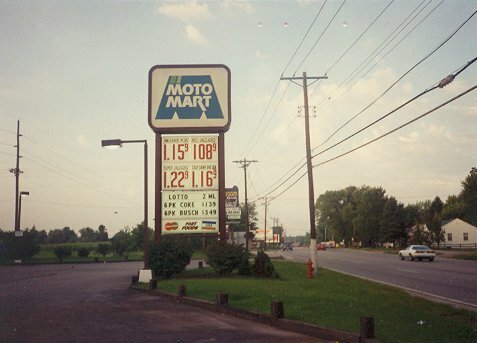 Moto Mart in Salem, Illinois on US 50 west. Taken August 12, 1992 by Walt Wimer. 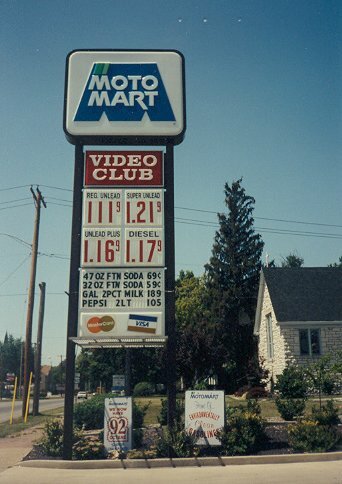 of their sites before they added "Mart" to their name. Photo taken Sept. 19, 1982 bt Walt Wimer. Moto Mart in Ashland, Ohio on Ohio 96 east. and in a town with quite a few independent stations. 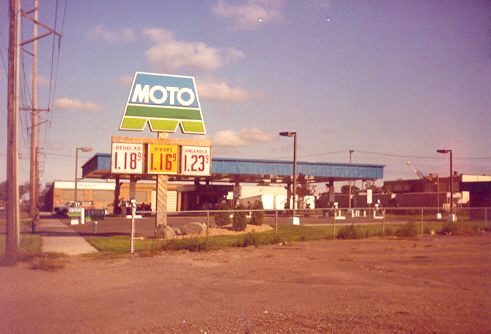 Moto Mart in Effingham, IL on US 45 just off of I-70. Taken July 6, 1994 by Walt Wimer. 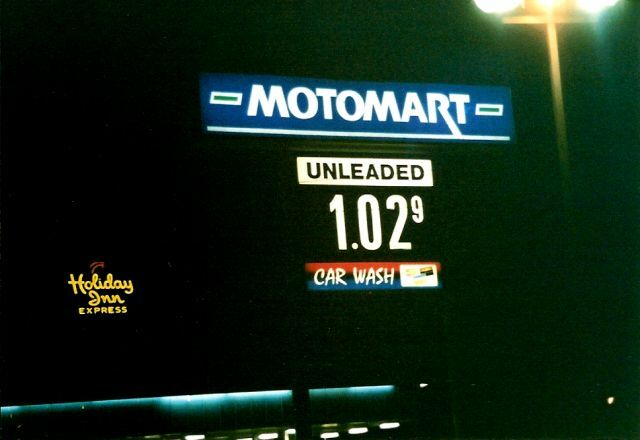 A night shot of a Motomart sign. Probably east of St. Louis in Illnois. 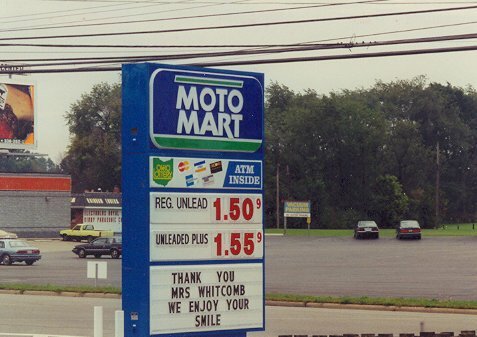 A Moto Mart station in South Edwardsville, Illinois. Located at IL157 and Meridian. Taken June 30, 2003 by John Cirillo.